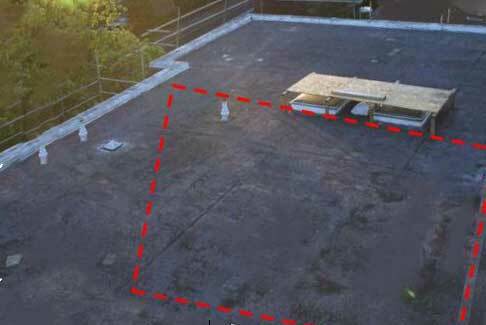 Flat Roof Leak Detection Services - IRT Surveys Ltd.
Why use thermography to identify flat roof leaks? 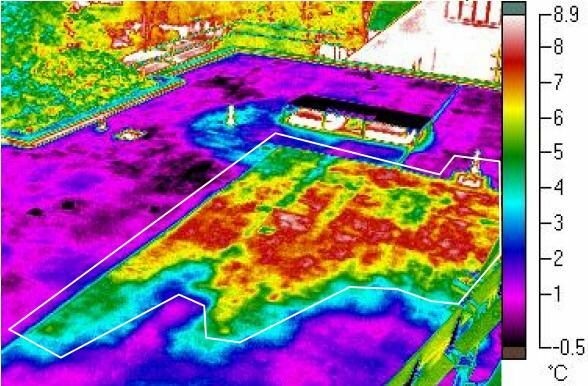 Our thermal imaging surveys give you the clearest and most concise condition report of your roofing system to help you identify a flat roof leak. 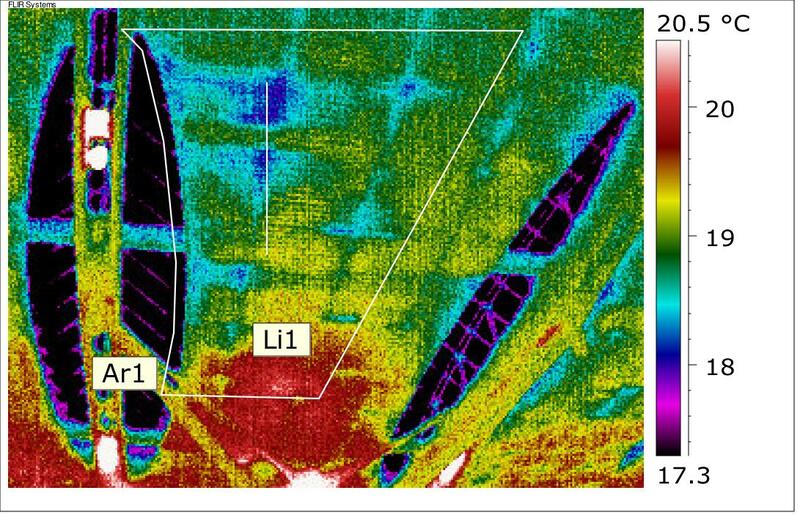 Areas of the saturated insulation have a higher thermal mass when compared to dry, healthy parts meaning problem areas will hold heat for longer when compared to dry areas and therefore reveal themselves, in red and yellow colours, within a thermal image. Our thermal reports map out and give clear evidence of these problem areas and the most likely points of ingress allowing you to carry out targeted repairs, saving time and money. Having your flat roof repaired? 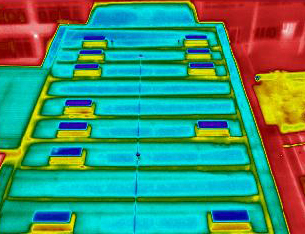 Thermal imaging can also be used as a quality assurance tool for flat roofing. A survey can be provided before and after a roof replacement to reveal improvements to the system, putting both your clients mind at ease and displaying the quality of your workmanship. Do you have a Flat Roof Leak? Contact us today to find out what IRT Surveys can do for you.